This is Randy Attwood in Mississauga. These delays are frustrating of course - especially for Nicole and Aarti. I am reminded of the saying astronauts use during long holds as they sit on the launch pad - "I would rather be on the ground, wishing I was in space than in space, wishing I was on the ground!" You don't proceed until everything is good to go. Launch rules are written months ago when there isn't the "GO FEVER" - everyone wants to light the candle now but it is best to wait for all weather and technical issues to be resolved. In the Space Shuttle days, especially since 1998 when the shuttles visited and built the International Space Station, there was a very short launch window - 10 minutes in fact. This was because the shuttle had to launch into the plane of the ISS orbit. You can think of it as a track the ISS is on - it takes tremendous energy to change the plane of your orbit. 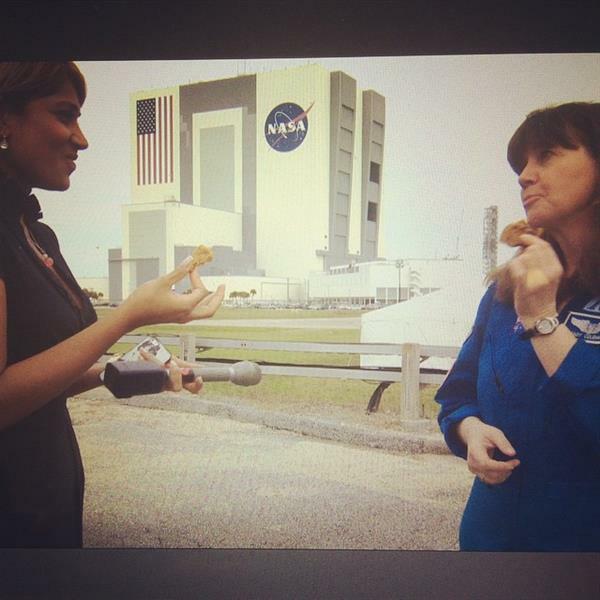 So if this were a shuttle - or an unmanned cargo mission to the ISS, we would be standing down and trying again tomorrow. There is 1 hour left in the launch window - 1 hour left to get off the ground or recycle to tomorrow. The launch window is determined based on various reasons - lighting in the launch and landing areas, the flight path of the Orion, many different variables which determine how long we will sit here and try to launch. Weather for tomorrow looks worse than today - so hopefully the technical problems will be solved and we will go soon. NASA officials discuss what the contingency plan would be if the launch of the Orion spacecraft is again delayed Friday due to weather or technical issues. 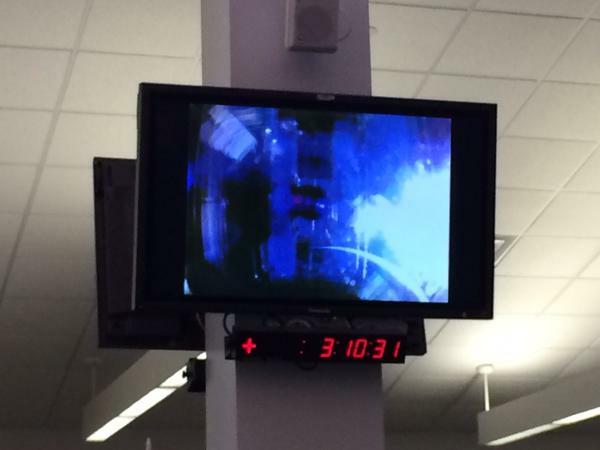 Orion reached its peak altitude at 9:11 a.m. CST. 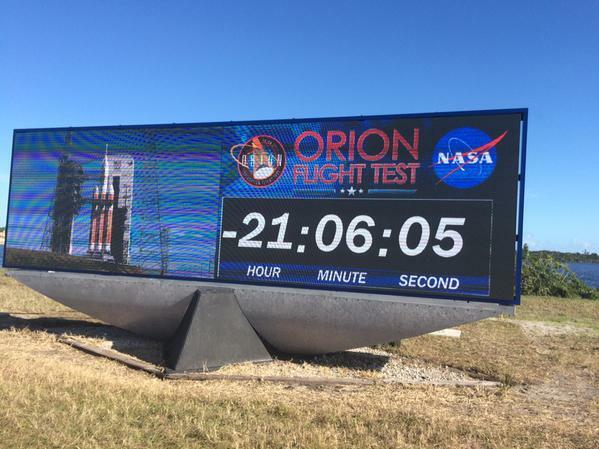 #orion 's gps operating so well that it's exceeding pre-launch expectations. 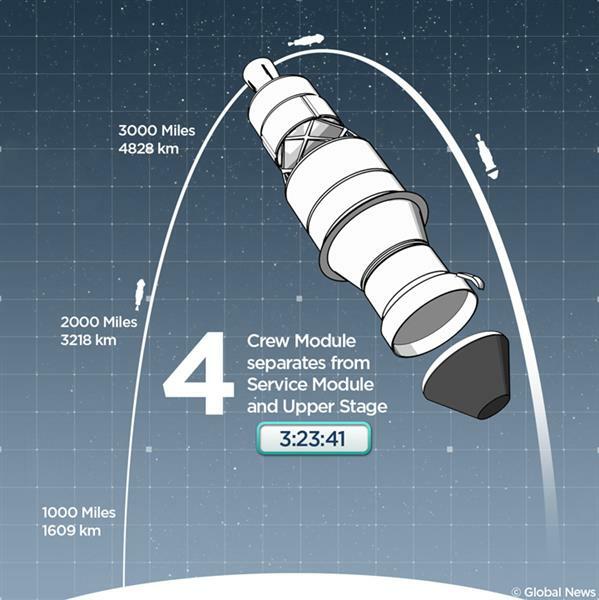 1 h 30 m left in shuttle's journey then splashdown in pacific. Scroll down and you'll see a video of Orion's launch. The sound was amazing! Both from the rocket AND the crowd. Orion's next stage. Crew module separation. Success! "Orion flies free for the first time in its history." WATCH as the Orion spacecraft launches from Kennedy Space Center.